Rise Construction is well into the finishing process on two houses on the Northeast side of Newmarket. 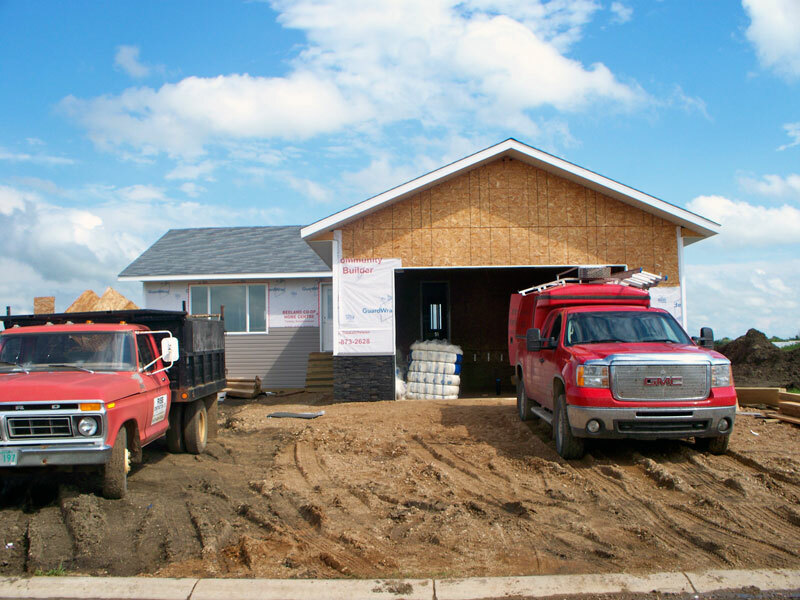 This is the fourth new housing start this year in Tisdale but several dwellings are about to be constructed on 95th Street. Their water and sewer services have been installed and excavation for their foundation will be undertaken in the next few days. Very wet condition on the work site. Meanwhile the Caleb project is now seeing the third floor built and contractors are busy working on the interiors of the first and second floors. Check out the pictures of house number four as it got underway back on June 21.